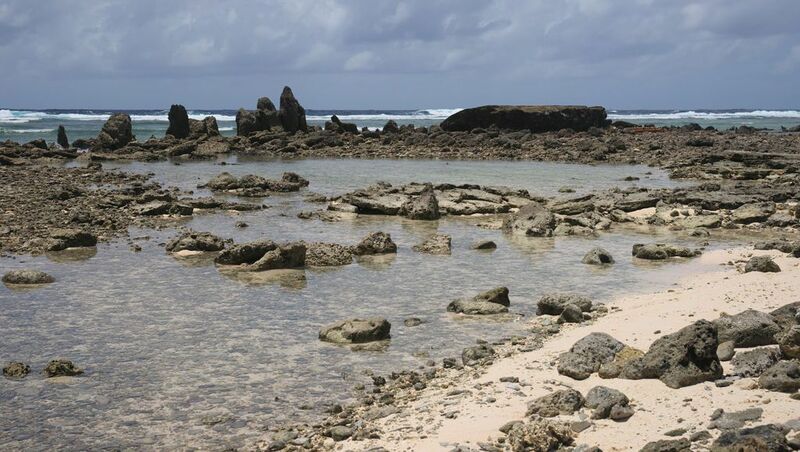 UN Secretary-General observes the impact of climate change in Kiribati - Naoki Takyo - Freelance photographer currently based in Lebanon. 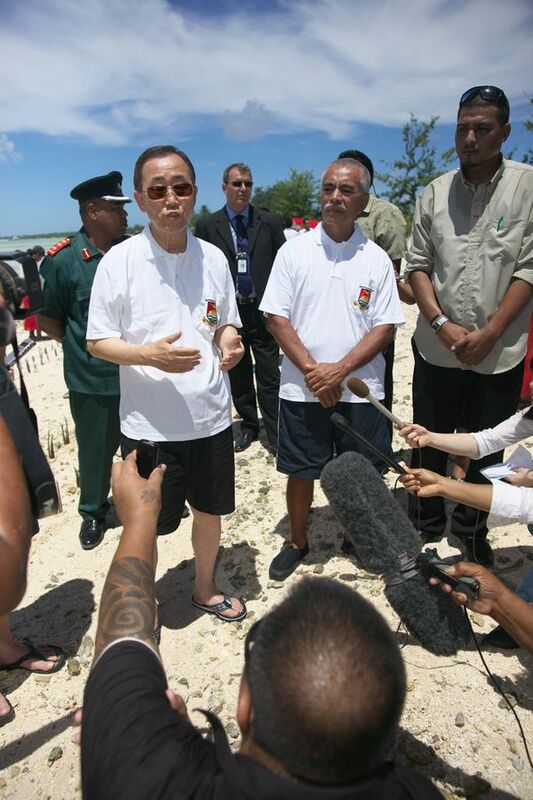 From 4 to 5 September 2011, the UN Secretary-General Ban Ki-Moon made an official visit to the Republic of Kiribati in the Pacific to observe the direct impact of climate change. The United Nations Secretary-General, Ban Ki-Moon, lists combatting global climate change as one of the corner stones of his second term action agenda. 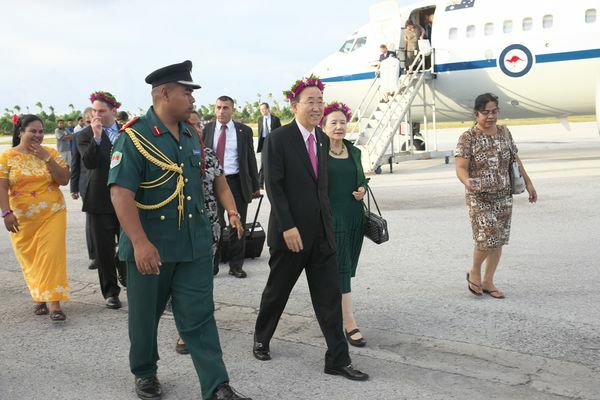 From 4 to 5 September 2011, the UN Secretary-General Ban Ki-Moon made a two-day official visit to the Republic of Kiribati in the Pacific to observe the direct impact of climate change on this tiny island nation. 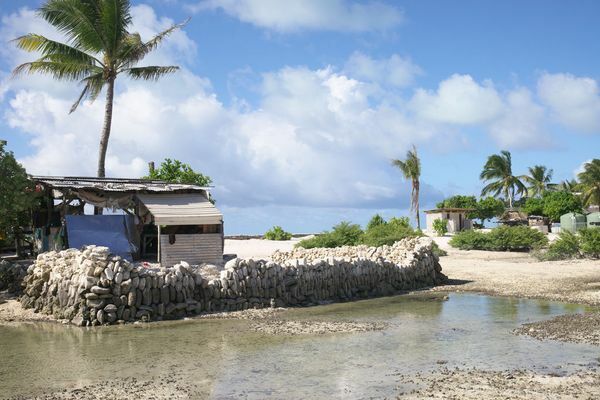 Kiribati consists of 33 atolls spreading over the Pacific along the equator. Total land area is only 811㎡. Total population stands at 100,798 (as of 2004). The highest elevation of the capital Tarawa is a mere 3 meters. 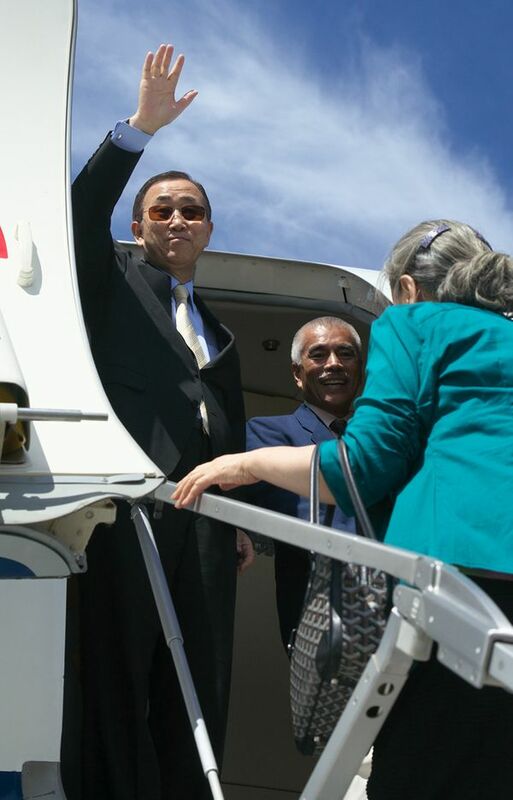 The UN Secretary-General Ban Ki-Moon and Mrs. Ban arrive. 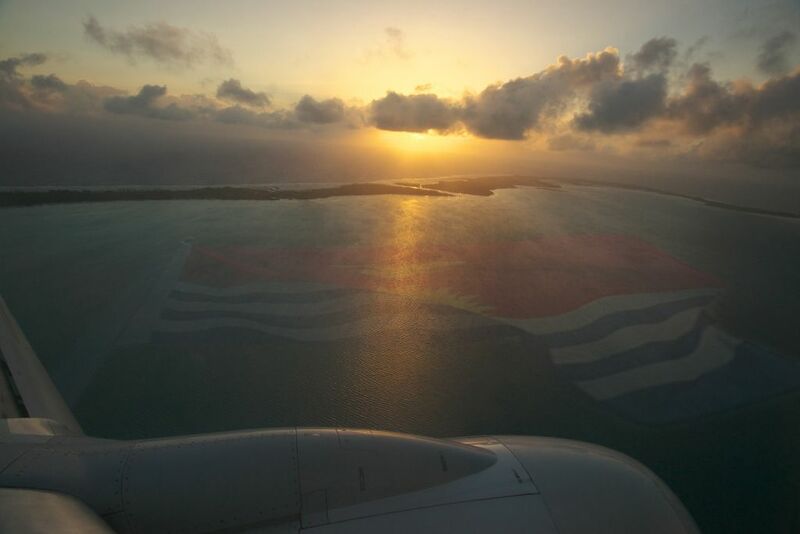 Bairiki International Airport at Tarawa, Republic of Kiribati. The highway (the sole road network) cutting cross the Tarawa Island. 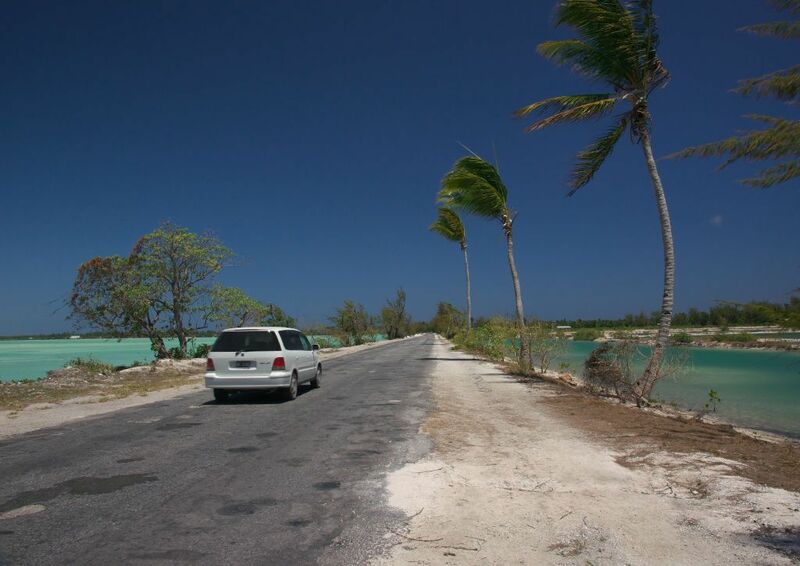 The highway (the sole road network) cutting cross the Tarawa Island. During ‘king tide’ or storms, the road becomes impassable. 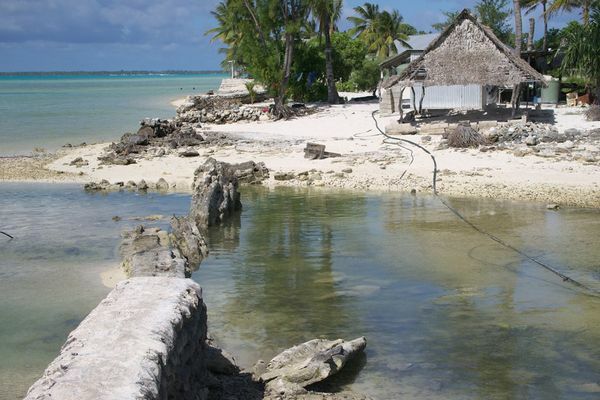 The President of Kiribati, Honorable Mr. Anote Tong, has stated that the total submergence of the country is no longer avoidable and has announced a plan to relocate its entire population to third countries. 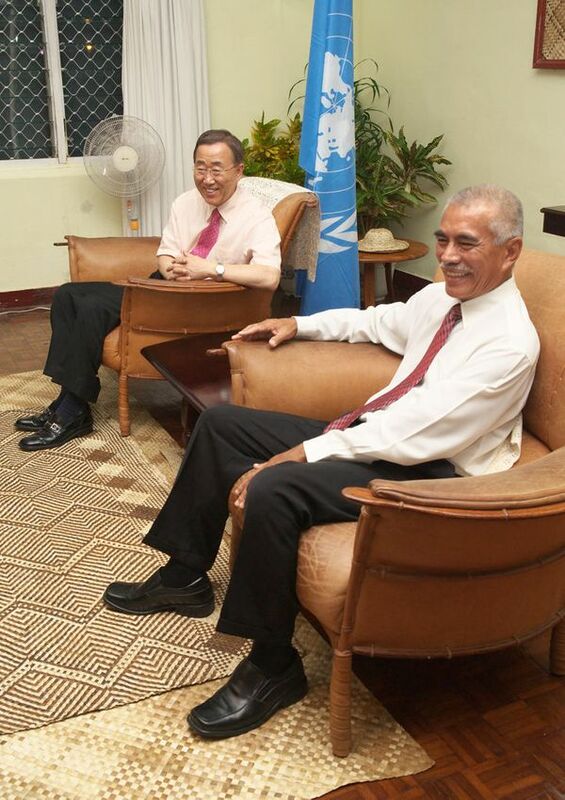 Meeting with the President of the Republic of Kiribati. Breakfast discussion with Karibati Environment Minister. The second day of the UN Secretary-General's visit started with a breakfast meeting with the Minister of Environment, Lands and Agricultural Development (MELAD) Mr. Amberoti Nikora (opposite Mr. Ban) who briefed the Secretary-General on how the rising sea level negatively affects the daily life of the Kiribati people. 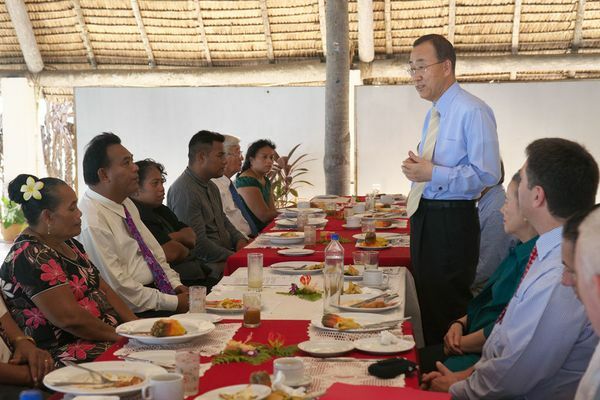 After the meeting, the UN Secretary-General proceeded to some of the most affected communities. 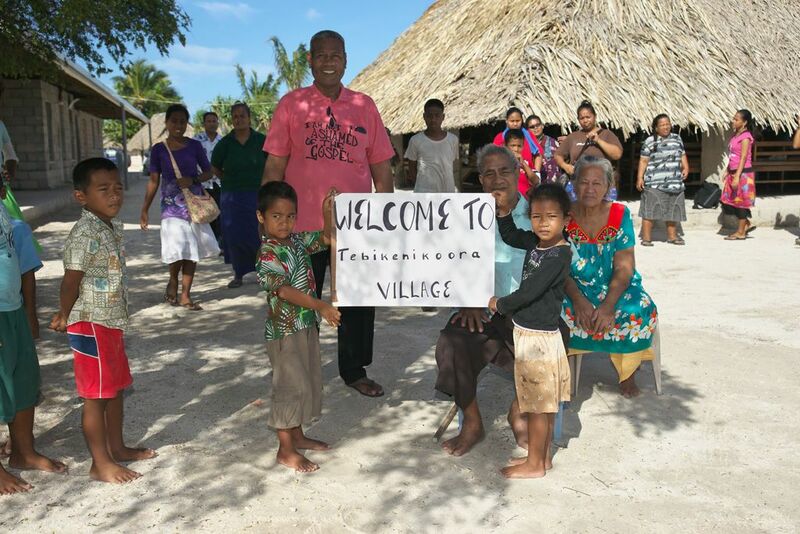 People of Tebikenikora (Tebikenikoora) Village waiting for the arrival of the UN Secretary-General. The UN Secretary-General observing degraded land areas at Tebikenikora Village. Destroyed seawall at Tebikenikora Village. Destroyed seawall. Sea water steadily erodes the land. Tebikenikora Village at low tide. 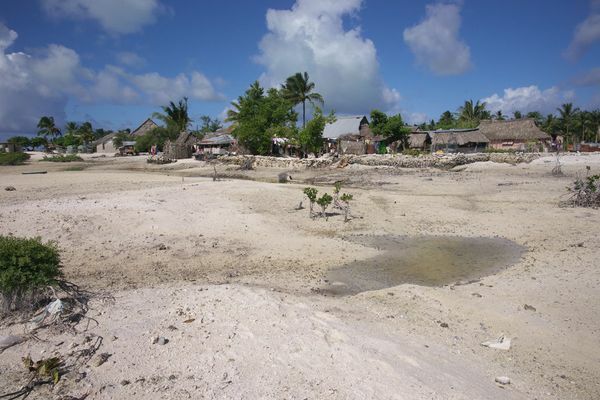 Seawater reaches the center of the village during high tide. 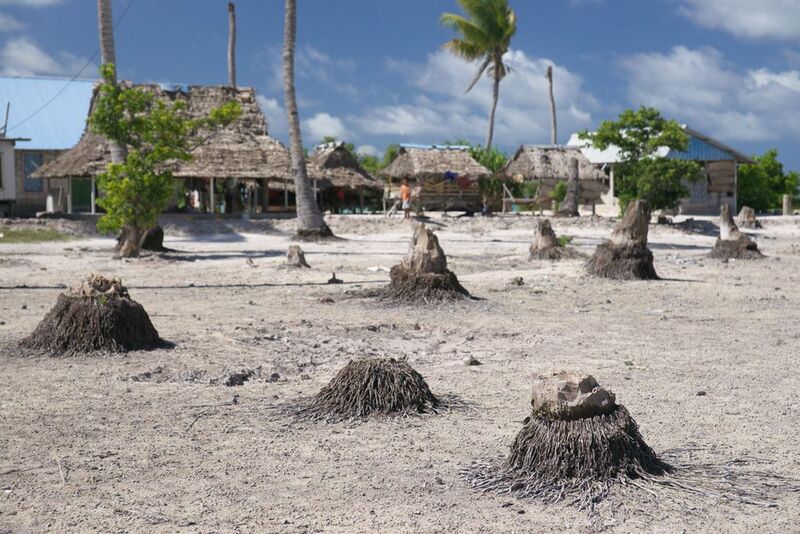 Coconut trees, often called 'Tree of Life' among the Pacific islanders, are dying in many places due to salinization caused by rising sea level. One of the houses within the Tebikenikora Village. How much longer can they hang on? Mr. Kaure Paoro, a former resident of Kabintemaiku Village, was forced to relocate to nearby settlement after the village became inhabitable in 2001. The legacy of a lost village. What is left of an old seawall. Residents had to abandon Kabintemaiku Village in 2001. The area was completely washed out by 2003. The children of the Tebikenikora Village. 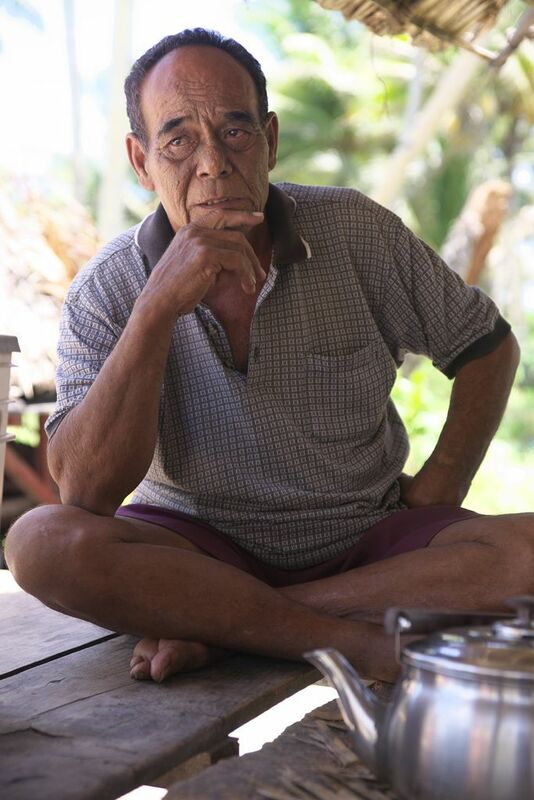 During an earlier community meeting, a tearful young student appealed to the Secretary-General: ‘I cannot sleep at night worrying that the sea water might destroy my house and take me away. What will happen to me?’ What can we do to protect their (our) future? The highest point of Tarawa at 3 meters. 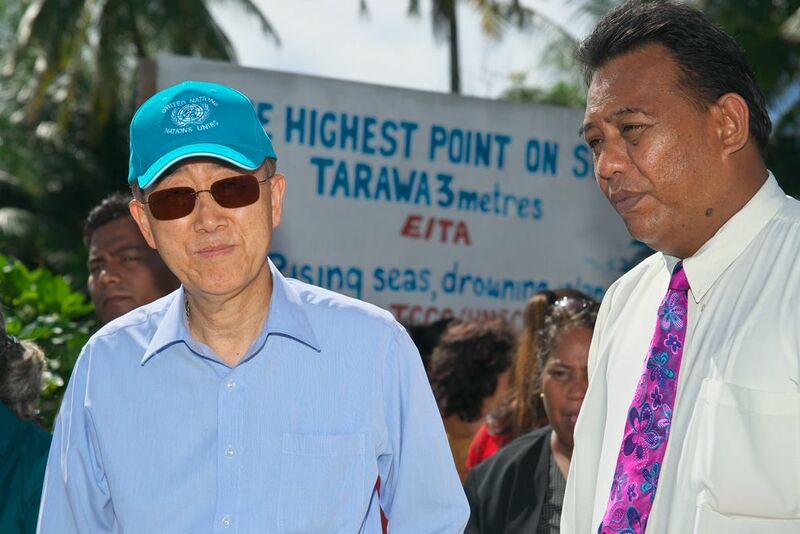 The UN Secretary-General and the Minister of Environment, Lands and Agricultural Development at the highest (3 meters) point of Tarawa. Delivering a message on climate change. A local youth group delivering a climate change message with a song. Meeting with Kiribati Members of Parliament. The UN Secretary-General and Members of Parliament exchanging their views on climate change at Maneaba-n-Maungatabu (House of Parliament). Navigating through the waves of climate change. 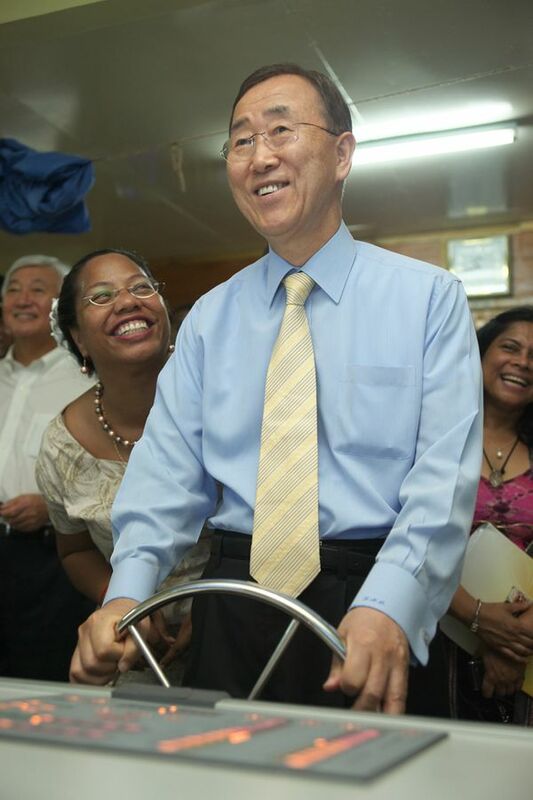 Navigating through the waves of climate change - The UN Secretary-General trying his hand at a ship simulator at Marine Training Center. 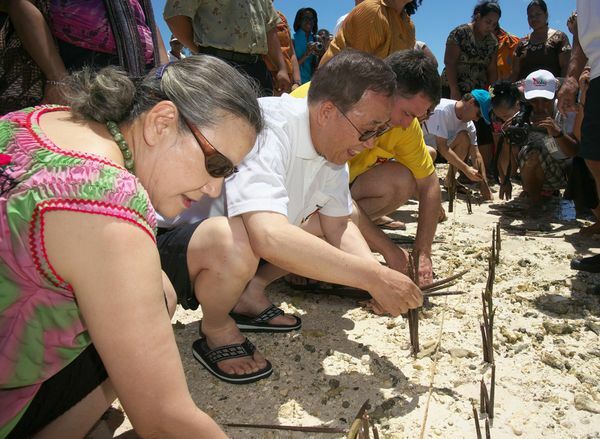 The UN Secretary-General and Mrs. Ban planting mangrove. 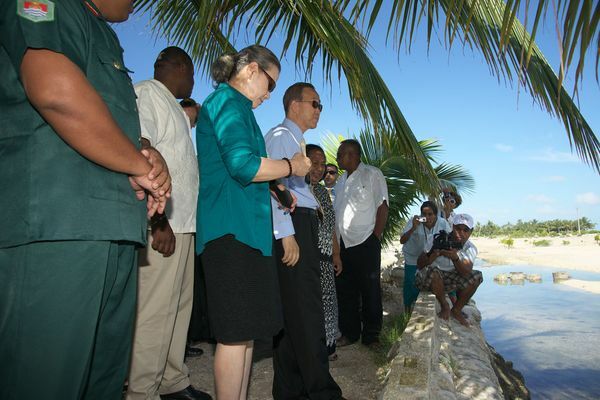 Government-led campaign promotes planting of mangrove along the coasts of Tarawa. 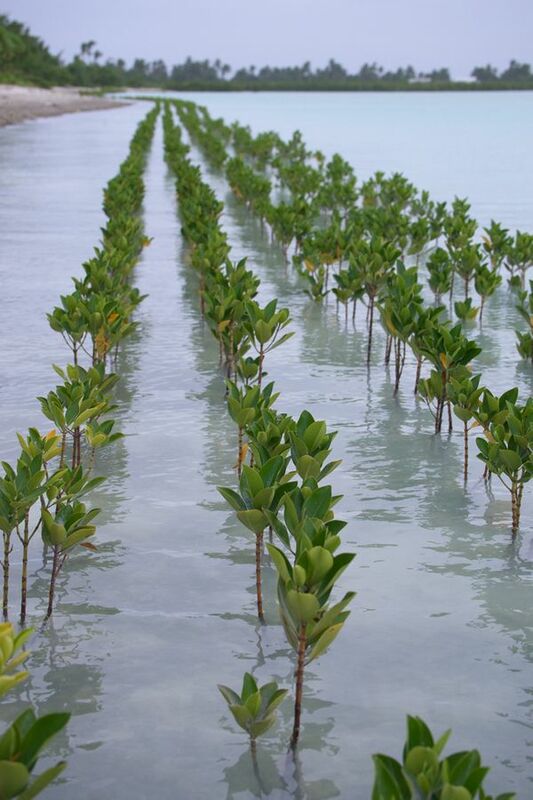 It is one of the effective countermeasures against land erosion, albeit not a permanent solution. Off to Pacific Islands Forum leaders summit. 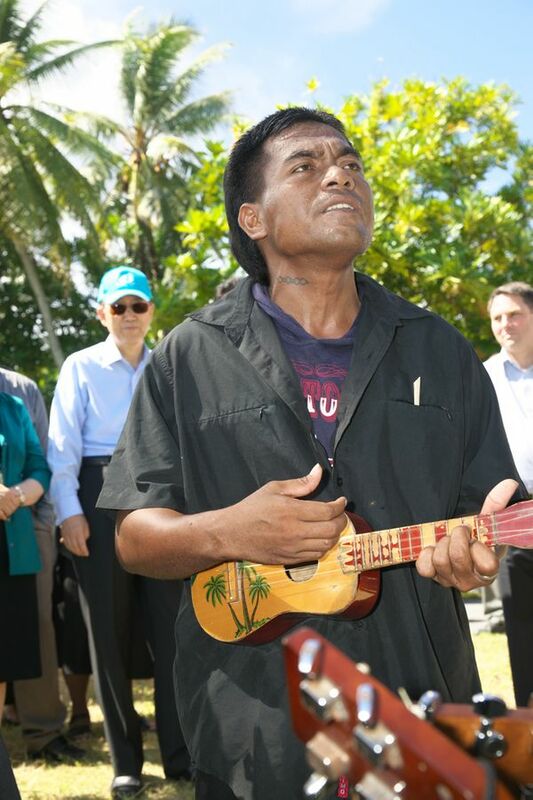 The UN Secretary-General bids farewell to the people of Kiribati as President Tong (behind) looks on. 'I will keep pressing for progress until we get real results.' 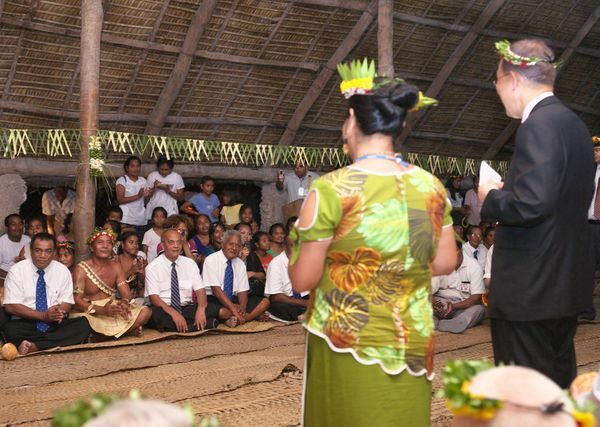 He departed for New Zealand where he presented his observations at the Pacific Islands Forum leaders summit.